The industrial conglomerate Siemens would invest more in Canada if the federal government lowered its corporate tax rate, the head of the company's Canadian operations said Monday after a meeting with Prime Minister Justin Trudeau. Siemens Canada's president and CEO Faisal Kazi said while his company would welcome lower taxes, Canada remains an attractive investment location due to its talent pool and the government's ongoing investments in innovation. Kazi and Siemens USA CEO Barbara Humpton met with Trudeau Monday afternoon during the Most Powerful Women International Summit, hosted by Fortune magazine. Following a major tax reform in the United States, Trudeau and Finance Minister Bill Morneau have been under pressure to respond in order to keep Canada competitive. 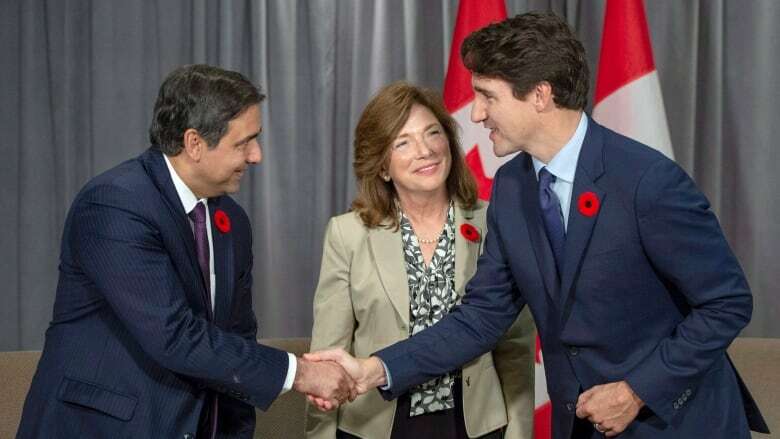 Trudeau also met Monday with Isabelle Marcoux, chair of the board of printer Transcontinental Inc., who said they talked about increasing the role of women in business and additional government help for print journalism. She said she is doing her part to build a pool of women executives who will become eligible for prominent roles in corporations. "We are a printer, and we see that our clients — especially the local press — are suffering." Trudeau is scheduled to address the conference Monday evening.